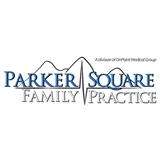 Parker Square Family Practice (Parker) - Book Appointment Online! We are committed to providing high quality medical care using state-of-the-art technology. All of us at Parker Square Family Practice strive not only to practice quality medicine, but also to partner with our patients in their care. Our service to the Parker community has been an integral part of the medical community's growth. The services Parker has to offer have grown and we are resourceful on behalf of our patients. Our providers strive to ensure that our patients are afforded the best medical care available. Always call your insurance company and provide them our tax ID to see if we are participating providers. Our tax ID is 272545610. Having BioTE pelleting with Shari. Very good technique. Very gentle!